Further details to be announced early in the New Year, but for now, feast your eyes on these 3 beauties. 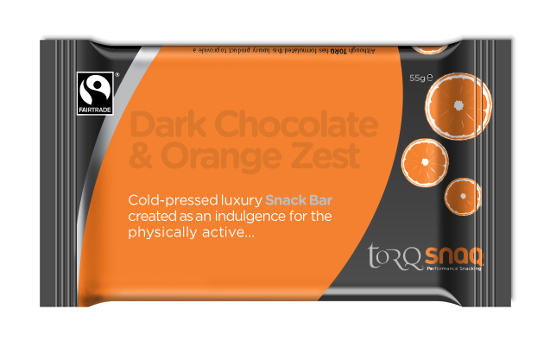 The thinking behind the new TORQ SnaQ bars has been to produce a healthy and ethical alternative to traditional confectionary and they’ve been formulated with athletes and physically active people in mind. Not only are these products very low in fat for a luxurious product of an indulgent nature, but they also contain a potent source of Whey Protein for muscle maintenance and Maltodextrin combined with the natural fruit sugars for glycogen replenishment. 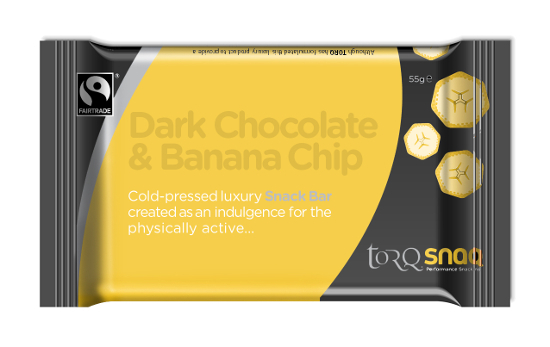 These bars are NOT intended for consumption during vigorous exercise, they are performance-supporting snacks for sporty people to be consumed alongside a cup of tea or coffee outside of exercise. They are also ideal for hiking or general outdoor adventure activities too, where the mode of exercise is generally less intense and where high fat snacks are often mistakenly used, which satiate, but don’t effectively fuel. Two of our new SnaQ bars are certified Fairtrade, which means that farmers in developing countries are paid a fair price for their crop. 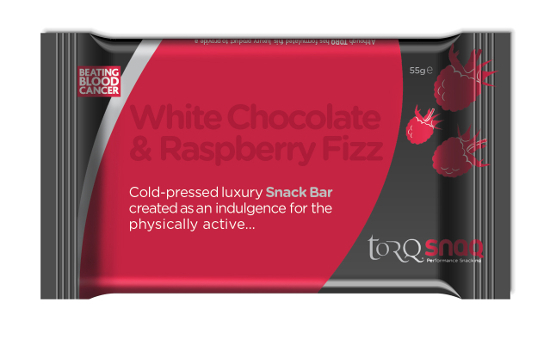 We have teamed up with Leukaemia & Lymphoma Research with our White Chocolate & Raspberry bar, so a donation from every one of these bars purchased will go to this excellent charity to help beat blood cancer. Further details coming your way soon, but as a little hint, we’ll be launching late January.